[THE INVESTOR] In a move expected to further boost bilateral trade, the Korea-Colombia free trade agreement will take effect next month, the government said on June 16. Colombia informed South Korea earlier in the day that it has completed the ratification process of the deal clinched in 2013, the Ministry of Trade, Industry and Energy said, adding that the deal will go into effect on July 15. Trade volume between the two countries stood at $2.1 billion in 2014, up 36 percent from a year earlier. Both nations are set to remove tariffs on most of the products within 10 years after the accord takes effect. Some of the key sectors that are expected to benefit from the trade deal are automobiles and cosmetics, according to industry watchers. Colombian President Juan Manuel Santos told his South Korean counterpart Park Geun-hye during the summit last year that the FTA would benefit his country in the agriculture sector as Korea is a major importer of agricultural products and Colombia can meet Seoul’s demand. 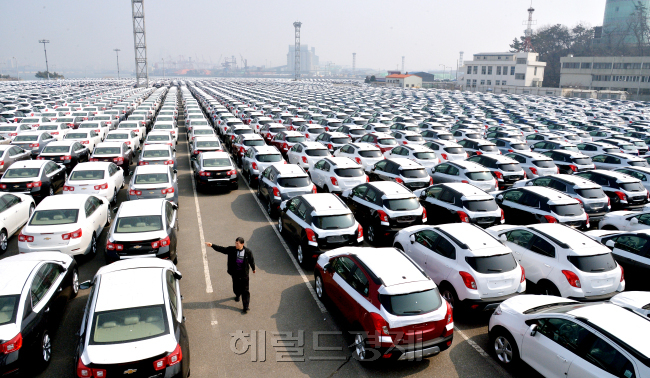 Korea has signed a number of FTAs with major trading partners, including the U.S., EU and China, in recent years as part of its efforts to boost growth in the country’s export-driven economy.